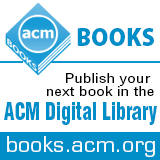 Welcome to the May 13, 2015 edition of ACM TechNews, providing timely information for IT professionals three times a week. The Obama administration plans to accelerate the deployment of self-driving motor vehicles on U.S. roads via a three-pronged strategy from U.S. Transportation Secretary Anthony Foxx. The plan entails expediting the federal rule-making process, resolving issues over who is entitled to use critical bandwidth, and eliminating various federal impediments holding up advanced technology. "We want to ensure that industry sees [the Department of Transportation] as an agency that is not only working to set the bar for safety in the marketplace but is leading in technologies that can play a role in enhancing safety," Foxx says. The first autonomous cars are expected to debut within months, with initial deployment in limited highway scenarios. Foxx and officials at the U.S. National Highway Traffic Safety Administration (NHTSA) are dedicated to the integration of driverless vehicles and direct computer communication between automobiles on the road, or vehicle-to-vehicle (V2V). "If we can interpret [federal] standards in such a way that will allow this innovation to go forward, if it makes the roads safer, we will find a way to do that," says an NHTSA official. Foxx also stresses the need to protect 75 megahertz reserved in the 5.9-gigahertz band solely for V2V use, by ensuring devices purported not to interfere with V2V communication are tested within a year. As part of their "Next 10" series, The Huffington Post recently queried seven futurists about what the next decade of science and technology might hold. Theoretical physicist Michio Kaku spoke about the rise of a "brain-net" that will enable people to directly share thoughts, emotions, feelings, and memories. Ray Kurzweil, director of engineering at Google, painted a picture of a three-dimensional printing revolution that will enable everything from clothes to organs to be printed inexpensively and easily. Anne Lise Kjaer, founder of trend forecasting agency Kjaer Global, talked about the evolution of M-Health, with new devices and technologies helping to improve both physical and mental health care. Institute for Global Futures CEO James Canton said artificial intelligence with be both "as smart as and smarter than humans," and will play crucial roles in everything from medicine to transportation. Jason Silva, host of "Brain Games" on the National Geographic Channel, predicted increased automation leading to a shift from an ownership to an access culture where "the world is at our fingertips." World Future Society CEO Amy Zalman said ongoing research will provide greater insight into the human condition and why people make the choices they do. Finally, author Mark Stevenson said the most important changes will come in the ways technology changes society for the better. The U.S. Defense Advanced Research Projects Agency (DARPA) is sponsoring a challenge in which about two dozen robots will navigate a series of tasks meant to push the limits of robotic technology. However, before many of the robots attempt the course, they will be tested in a highly realistic virtual world called Gazebo. The three-dimensional (3D) environment makes it possible to test robot hardware and software without having to power up the technology, serving as an inexpensive and quick way to experiment without risking damage to valuable hardware components, and enabling several researchers to work on a single robot at the same time. Gazebo resembles the sort of 3D virtual space found in many computer games, but offers far more realistic approximations of physical forces and phenomena such as friction and lighting. In addition, realistic noise can be fed into robot sensors to simulate the kinds of challenges robotics researchers will face when a robot attempts a task in real life. Gazebo is part of the Robotic Operating System, an open source program for controlling various parts of a robot. Gazebo also is being used by many of the teams participating in a separate, Amazon-sponsored challenge, which will involve robots identifying and picking products from shelves. Oakland, Ca.-based Next Thing Co. is planning to outdo the $35 Raspberry Pi in the realm of inexpensive, miniature computing with a $9 computer called C.H.I.P. Although C.H.I.P. is still an early Kickstarter project--though a very successful one, raising $925,000 in just a few days--it would offer some impressive capabilities. C.H.I.P. features a 1Ghz processor, 512MB of RAM, 4GB of built-in storage, Wi-Fi and Bluetooth, and a composite video output. Next Thing Co. also plans to offer an attachment called PocketC.H.I.P. which, for $40 more, would add an enclosure, a 4.3-inch touchscreen display, a full QWERTY keyboard, and an internal battery that could power the device for up to five hours. However, the primary market for C.H.I.P. is likely to be among hobbyists, hackers, and educators, which are the same niches currently being filled by Raspberry Pi. C.H.I.P. 's developers say they hope tinkerers will use the computer to build Internet of Things (IoT) devices, and ideas for everything from robots, gaming devices, and air-quality sensors already have been put forward. The company hopes to start shipping C.H.I.P.s by early 2016. Tor, the anonymous browsing network, announced it is shutting down its Tor Cloud Project due to a lack of developer support, which was making it unstable and insecure. Tor launched the Cloud Project in 2011 as a way to attract more users to its network. It offered a less-complex alternative to setting up a standard Tor access point, enabling users to create "bridge" nodes in Amazon's EC2 cloud to connect to the Tor network in exchange for donating a small portion of the bandwidth to help keep the network alive. However, in a recent blog post announcing the shut-down, Tor said the cloud project was plagued by a lack of developer support that made it nearly impossible to keep the platform up to date and bug-free. They said before the shutdown, the Tor Cloud was experiencing at least one known bug that made it completely dysfunctional, as well as several other bugs of varying severity. The bugs contributed to declining numbers of Tor Cloud users, and although Tor received several offers of patches, it was unable to find a Tor developer to review and approve them. Existing cloud instances will remain intact, but the program will no longer be available to new users. University of Wisconsin-Madison (UW) researchers have developed NoCrack, software that acts as a password manager by creating decoy password vaults if a wrong master password is supplied. NoCrack is designed to make it much more time-consuming and difficult for attackers to determine if they have entered the correct password. NoCrack generates a plausible-looking password vault for every wrong password guess, creating an unlimited number of decoys. The only way for attackers to determine if the credentials are accurate is to try them online. Since most online services limit the number of password guesses, attackers would not get many chances to search through the decoy vaults, according to UW master's student Rahul Chatterjee. NoCrack created better decoy vaults using natural language encoding (NLE) algorithms, which decode a uniformly selected bit string and generate a fresh sample of natural language text. The researchers found that using NLE made NoCrack resistant to simple machine-learning attacks aimed at separating the real vault from the fake ones. However, the program also creates a fake vault when a legitimate user mistypes a password, which locks the user out. The researchers say they are working on solutions to that scenario. University of California, Santa Barbara (UCSB) researchers have demonstrated a neural circuit of about 100 artificial synapses that is able to perform a simple version of image classification. The researchers say with more time and development, the technology could be expanded to approach the functionality of the human brain, which has one quadrillion synaptic connections. In the demonstration, the artificial neural network circuit was able to successfully classify three letters by their images, with each letter stylized in different ways or obstructed with noise. "While the circuit was very small compared to practical networks, it is big enough to prove the concept of practicality," says UCSB researcher Farnood Merrikh-Bayat. The technology relies on the memristor, an electronic component whose resistance changes based on the direction of the flow of the electrical charge. Memristor operation depends on ionic movement, similar to the way human neural cells generate neural electrical signals. UCSB professor Dmitri Strukov notes the ionic memory mechanism produces several advantages over electron-based memories, which makes it an attractive solution for artificial neural network implementation. However, in order to be able to approach the functionality of the human brain, many more memristors would be required to build more-complex neural networks. University of Illinois at Urbana-Champaign (UIUC) researchers have demonstrated a high-performance three-dimensional (3D) microbattery suitable for large-scale on-chip integration with microelectronic devices. "This 3D microbattery has exceptional performance and scalability, and we think it will be of importance for many applications," says UIUC professor Paul Braun. He notes this type of high-power on-chip battery could be applied to autonomous microscale actuators, distributed wireless sensors and transmitters, monitors, and portable and implantable medical devices. "In this project, we developed an effective method to make high-performance 3D lithium-ion microbatteries using processes that are highly compatible with the fabrication of microelectronics," says UIUC researcher Hailong Ning. He notes the research merges concepts in fabrication, characterization, and modeling, demonstrating the energy and power of the microbattery are strongly correlated to the structural parameters, such as size, shape, surface area, porosity, and tortuosity of the electrodes. The battery is equipped with well-defined, periodically structured porous electrodes, which facilitate the fast transports of electrons and ions inside the battery, providing supercapacitor-like power. "Micro-engineered battery architectures, combined with high-energy material such as tin, offer exciting new battery features, including high energy capacity and good cycle lives, which provide the ability to power practical devices," says UIUC professor William King. University of California, Riverside (UCR) researchers have demonstrated pattern recognition using a magnonic holographic memory device, a breakthrough they say could improve speech- and image-recognition hardware. The researchers say the technology is unique because the input patterns are encoded into the phrases of the input spin waves, which are collective oscillations of spins in magnetic materials. Spin-wave devices can be an improvement over their optical counterparts because they are more scalable due to their shorter wavelength. In addition, spin-wave devices are compatible with conventional electronic devices and can be integrated within a chip. The researchers built a prototype eight-terminal device consisting of a magnetic matrix with micro-antennas to excite and detect the spin waves. The researchers collected experimental data for several magnonic matrixes and found unique output signatures corresponding to specific phase patterns. The micro-antennas enable the researchers to generate and identify any input phase pattern, a major improvement over conventional techniques. The new approach also features the appealing property of having all of the input ports operating in parallel, which means magnonic holographic devices have the potential to be fundamentally more efficient than conventional digital circuits. "Now, the device works not only as a memory but also a logic element," says UCR professor Alex Khitun. University of Exeter researchers have developed a technique to embed transparent, flexible graphene electrodes into fibers commonly associated with the textile industry. The researchers say their technique could revolutionize the creation of wearable electronic devices, which have a wide range of applications, including textile-based global-positioning systems, biomedical monitoring, personal security, and communication tools for those who are sensory impaired. The technique utilized monolayer graphene, which has exceptional electrical, mechanical, and optical properties, making it an attractive material for applications in wearable electronics. In the Exeter research, graphene was created by a growth method called chemical vapor deposition onto copper foil. The technique involves transferring graphene from the copper foils to a polypropylene fiber already used in the textile industry. "All electronic devices need wiring, so the first issue to be addressed in this strategy is the development of conducting textile fibers while keeping the same aspect, comfort, and lightness," says Exeter researcher Ana Neves. "The methodology that we have developed to prepare transparent and conductive textile fibers by coating them with graphene will now open the way to the integration of electronic devices on these textile fibers." A smart cane using facial recognition technology could enable the visually impaired to instantly identity friends and family. Developed by students at Birmingham City University, the XploR mobility cane recognizes familiar faces up to 10 meters away and alerts the user. The cane is designed to vibrate when it detects a recognizable individual from a bank of images stored on an internal SD memory card. The user would wear an earpiece and receive audio guidance, with the information being relayed through Bluetooth technology. The smart cane also features global-positioning system functionality to aid navigation. The research team of Steve Adigbo, Waheed Rafiq, and Richard Howlett also conducted market research at the Beacon Center for the Blind in Wolverhampton to determine the most useful features. "We found that high-spec technology features were essential requirements for users, as well as the cane needing to be fairly lightweight and easy to use," Rafiq says. Researchers at the VTT Technical Research Center of Finland say they have developed an electronic security tag that can be used to protect valuable shipments, and also say VTT's roll-to-roll technology for printing electronics can be used to manufacture them. The security tags would enable logistics companies and retailers to determine whether products were tampered with during transportation. The technology consists of a paper tag with an embedded battery and two colored light-emitting diodes. When a package is opened, the signal light will show whether it was opened earlier during transportation. The roll-to-roll technology enables electronic circuits and sensors to be directly integrated into different materials. The researchers say the approach is cost-effective, suitable for mass production, and the tags are environmentally friendly. "Our project partners have been examining the recyclability of the security element and its feasibility in logistics chains, so we now have a functional package in our hands," says VTT scientist Lisa Hakola. "In its studies, our project partner ITENE has detected that the components used in the security element have a very minor influence on the optical and mechanical properties of recycled fibers." The Institute of Electrical and Electronics Engineers' (IEEE) Reboot Computing initiative is planning to meet at the end of the year in Washington, D.C., to launch what the president of IEEE calls "an earthquake in the computing industry." The Reboot Computing initiative is built around the premise that the emergence of the Internet of Things and the stalling ability to scale computing power at the rates described in Moore's Law necessitate a fundamental rethink of computing. The initiative is not dedicated to any one approach to changing computing, but rather to "Three Pillars" that the organization believes need to inform any such effort: energy efficiency, new user interfaces, and dynamic security baked in at every level. There are many new approaches to computing being explored today, including neuromorphic and approximate computing, adiabatic computing, and variations on parallelism. Georgia Institute of Technology professor Thomas Conte, who co-chairs the Reboot Computing initiative, says he is particularly interested in Hewlett-Packard's "The Machine" project, which seeks to meld several new technologies into a completely new form of computer architecture. He also is interested in the efforts of the U.S. Defense Advanced Research Projects Agency's Microsystems Technology Office, which currently is focusing on software and new ways of representing data.